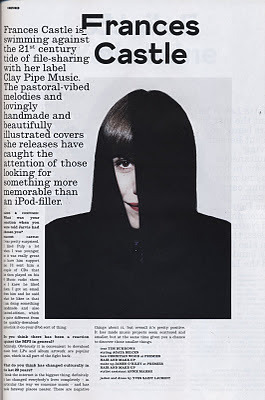 Clay Pipe has made it into Dazed and confused magazine and I got my photo taken by Rankin. It was due to Jarvis Cockers support - he seems to like what I'm trying to do! Just finished stapling and folding 300 booklets and a whole pile of Goccoing - fingers crossed there will be another release before Christmas.